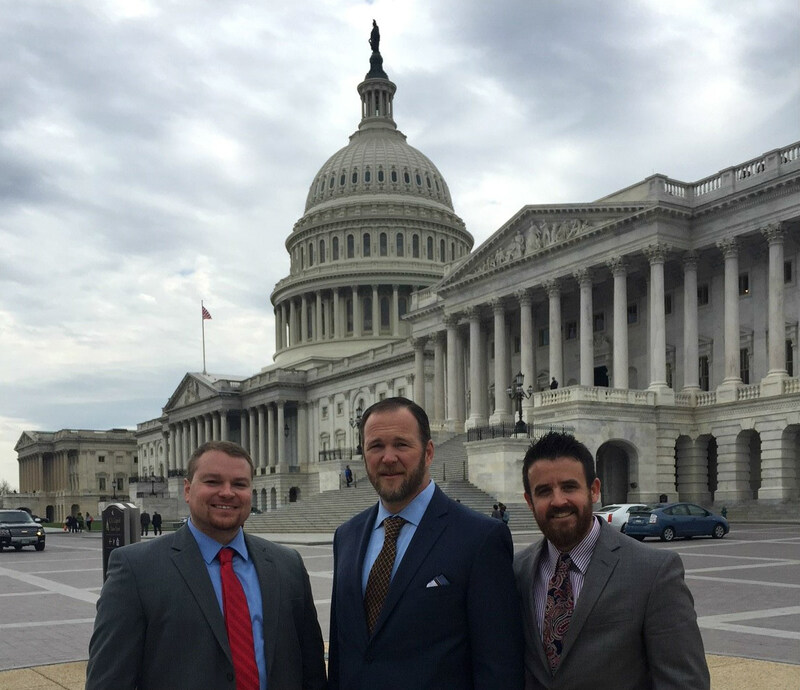 Tax savings are resulting in positive impacts for franchise businesses across the U.S. Left to right, Chase Pierson, Larry Patterson and Shane Price of Glass Doctor during an April 12 visit to the U.S. Capitol and White House. Hundreds of franchises are joining businesses large and small across the U.S. turning tax savings into wage increases, bonuses, employee training, new jobs, growth, equipment, technology and other forms of economic expansion. 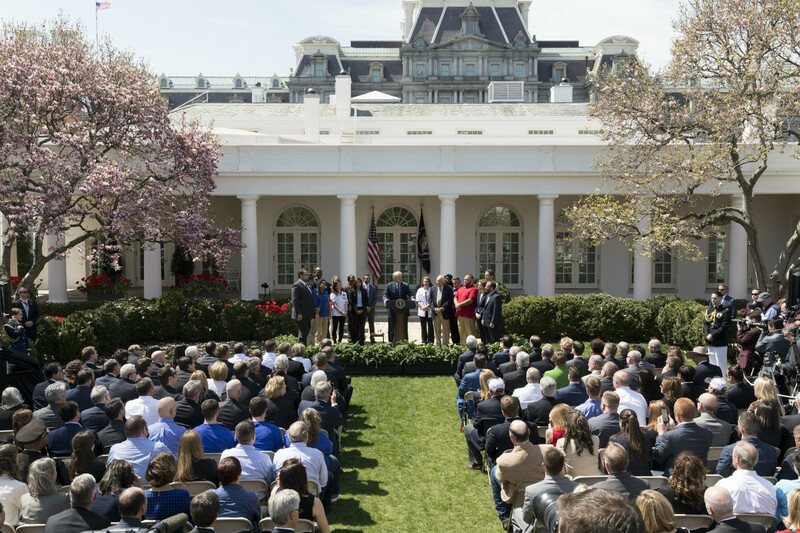 Along with other representatives of the business and manufacturing communities, IFA members participated in an April 12 White House ceremony in the Rose Garden with President Donald Trump, Vice President Mike Pence, cabinet officials and members of Congress. IFA released a pledge last week signed by nearly 400 members of the franchise and small business community, and their employees, about the impacts of the Tax Cuts and Jobs Act. Launched in January, the effort is part of a year-long campaign to highlight business owners that plan to use resourced from the tax cuts to create new jobs and increase wages. Related: How Have Lower Taxes Impacted Franchises? IFA supplier members are also seeing benefits from tax reform. Bank of America is giving $1,000 bonuses to 145,000 U.S. employees. CEO Brian Moynihan explained: “In the spirit of shared success, we intend to pass some of those benefits along immediately. U.S. employees making up to $150,000 per year in total compensation – about 145,000 teammates – will receive a one-time bonus of $1,000 by year-end,” he said. Additional hiring is in store for bookkeeping franchise Bean Counter Farm, according to Chief Operating Officer Tom Porterfield. “We also plan to invest in target marketing to the franchise industry,” he said. 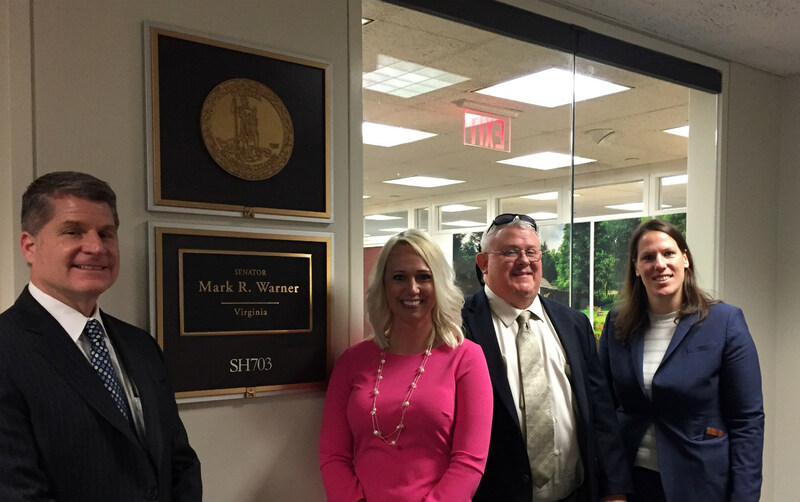 Left to right, John Robert White, Julian Nuckols and Chris Howard with FASTSIGNS and IFA's Suzanne Beall, Esq., stop by Sen. Mark Warner's office during an April 12 visit to the White House. John Robert White, President and Owner of FASTSIGNS International of Richmond-Fredericksburg, Va., has spent the tax savings in numerous areas. “We’ve certainly seen the economy improve and have invested back into our employees and into the business, including better equipment,” he said. “We have increased the average salary of our hourly employees and provided the sales team with better bonus/commission plans,” he continued. The purchase of newer, more modern production and fabrication equipment allows the sales team to be more competitive in obtaining new customers while improving the final product for existing customers, White said. Chris Howard, Senior Account Executive for FASTSIGNS in Mosely, Va., sees the tax savings as a blessing, as it has given him the chance to invest in the future of his three children. “I have a 15-year-old autistic son and have been able to provide extra activities to stimulate his mind,” he said. “We are putting away more money each year to help with all three of their futures, and especially my autistic son, Landon. The future is certainly on the right path and I am excited to see what it holds,” Howard added. Staffing and resources are top of mind for FASTSIGNS franchisee Ginger Evenson of Wisconsin. “I’ll be using additional money to pay my employees better and invest in equipment,” she said. The tax bill led to higher wages and faster growth for multi-unit Glass Doctor franchisee Larry Patterson of Dallas, Texas. A Glass Doctor franchisee since 2003, Patterson has three locations with plans to expand to eight, employing 55 people. The tax savings led to raises of 4 to 8 percent for all employees, additional jobs, a new showroom and upgraded vehicle fleet. Patterson's employees are benefitting from the tax cuts. “I have been able to afford to pay for the wedding my fiancé wants coming up at the end of this month, maximize my HSA account, purchase a secondary vehicle and put 9 percent a check into an IRA,” said Shane Price, Account Manager at Glass Doctor in Dallas. Chase Pierson, Manager of the Special Operations Division, decided to speed up a vehicle purchase. “I wasn’t planning on doing this until much later but due to the additional money I was bringing home, I was able to complete,” he explained. President Donald Trump delivers remarks on tax cuts for American workers April 12 in the Rose Garden at the White House. Official White House Photo by Andrea Hanks. “We fully plan on hiring more employees,” said Samuel Patton, who owns a Home Instead Senior Care franchise with his wife, Brandy, in El Paso, Texas. They’ve set a goal of hiring 50 people in 2018. “This tremendously helps with that endeavor as this money will assist with prerequisite items such as training, drug screens and background checks,” he said of the tax savings. “We will spend more money on advertising in our local community as well as increase training programs for current employees,” Patton added. Andrew Parker, CFE, is Editor-in-Chief and Sarah Eustace is Associate Editor of IFA’s Franchising World magazine. Join IFA’s Franchise Action Network to get involved with issues that impact the franchise business model. Next Article: How Have Lower Taxes Impacted Franchises?